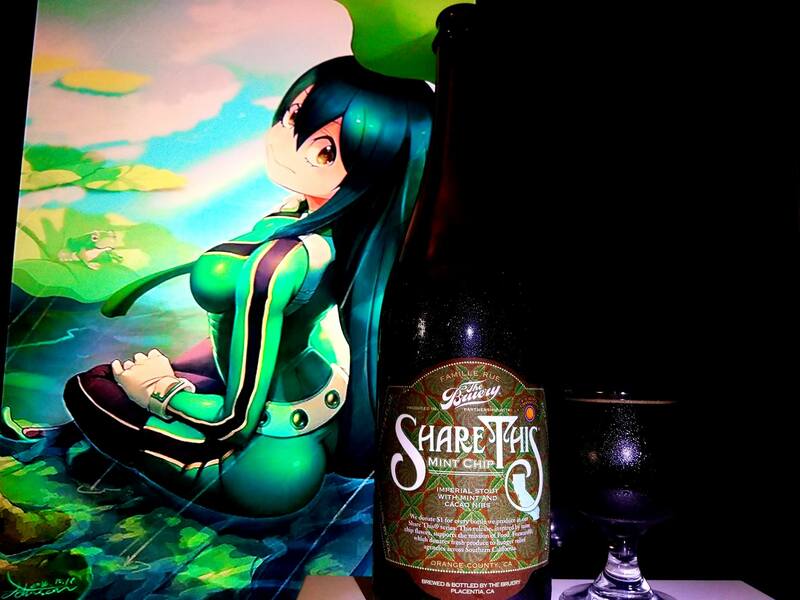 Description: Mint Chocolate Stout is a dark, silky beer with aromas of chocolate and licorice. Smooth chocolate and coffee flavors upfront lead to a subtle spearmint finish. To fully enjoy all the flavors of this ale it is best drunk at 55 degrees Fahrenheit. Hops: WGV (Whitbread Golding Variety), Perle. The Shipyard series has been one of my favorite for beers since the Smashed Blueberry ale, Smashed pumpkin ale and even the Double Old Thumper ale. The beers that I have tried from them so far really work to come close as possible as to what they are intended to taste like. 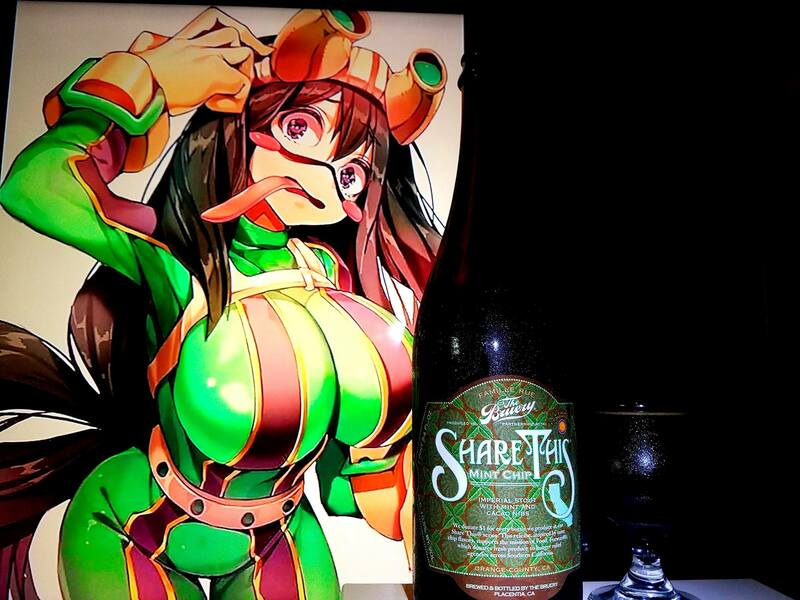 It seems that this is well executed as their use of ingredients can make the intended flavors really come out, where as other breweries use more of special recipes to magically summon the flavors (The Craft that makes craft beers) which makes them more magical and complex. 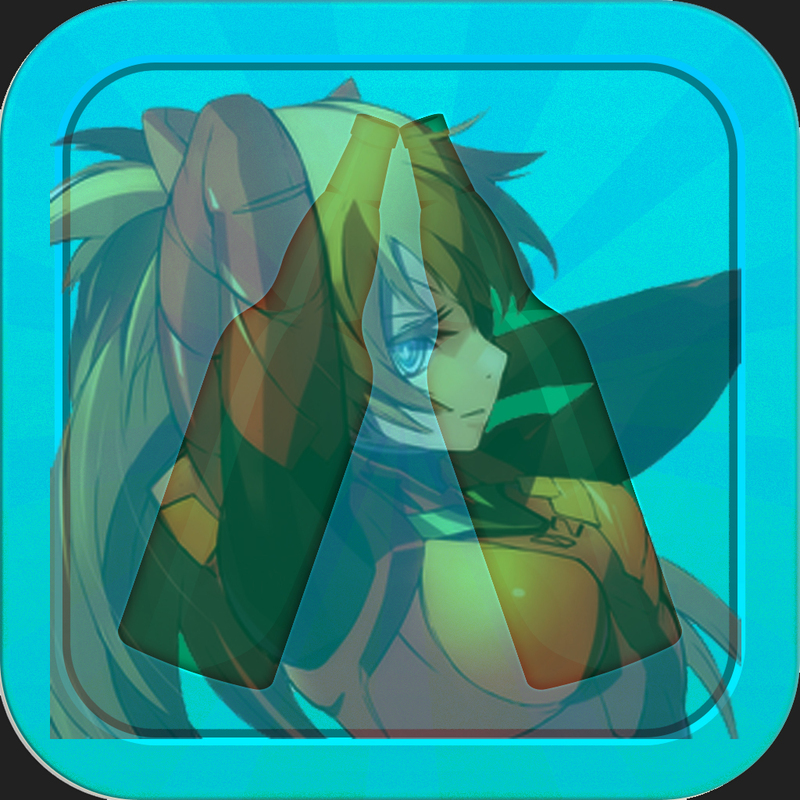 Never the less, if you are able to com up with special recipes using the right ingredients and execute it well, then the achievement has been met (Alchemy vs. Magic). When I first saw this one at the local store, it was a no brainer to pick it up and do a review. Total wine in Redondo Beach California but it should also hit Downey Liquor and many of the Southern California markets soon. Rich Mint Chocolate chip ice cream, licorice, molasses, evergreen, spearmint, baker and dark chocolate notes, anise, roasted coffee notes, caramel and light vanilla. Lots of mint, dark chocolate, bakers chocolate, roasted espresso, licorice, notes of molasses, anise, Mint Chocolate chip ice cream, spearmint, herbs, evergreen, earthy hops, Mint Chocolate chip ice cream coffee, hints of herbs and spices. 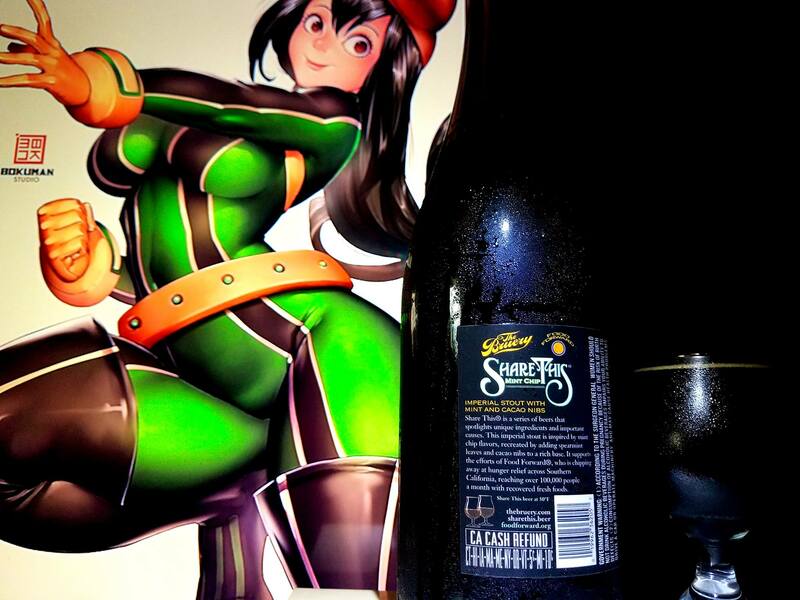 The beer is very good. 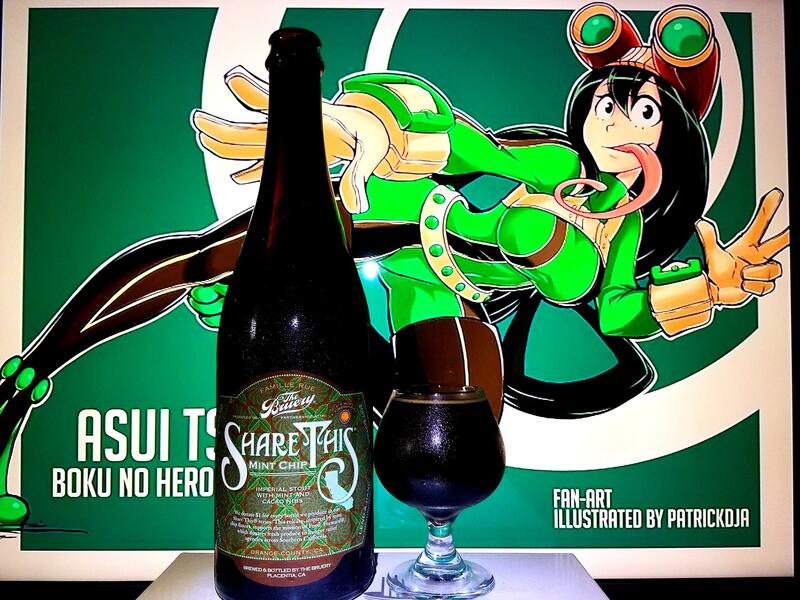 It is not overly complex and gets the job done when it comes to meeting expectations of what a “Mint Chocolate Stout” is supposed to taste like. The chocolate keeps it together but the stronger notes have to be in the mint and the earthy hops and roasted coffee bitterness. This one is way more minty than the Stone Belgo Anise, but it is still like drinking Mint Chocolate Chip Ice cream and coffee in a bottle. 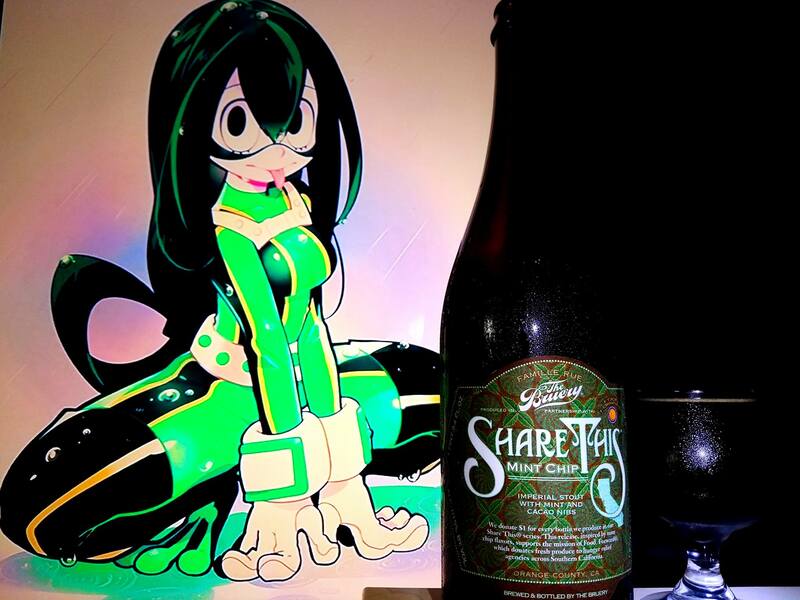 It is possible that people who do not like Licorice beers may not find this one appealing, but the sweet chocolate definitely keeps it from being too much like licorice. Definitely worth a try and one I definitely get again. 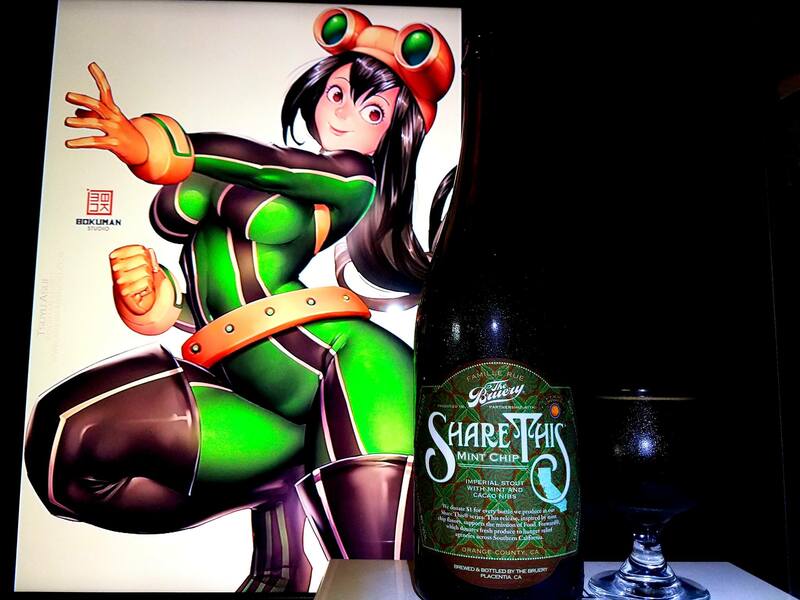 The personified anime version of The Creeper from Mine craft was used for this pairing to compliment several aspects of the beer. To begin, the obvious is the green and brown to represent the mint and the chocolate as well as the label colors. The creeper is a kamikaze character from what I gather about the Minecraft game. 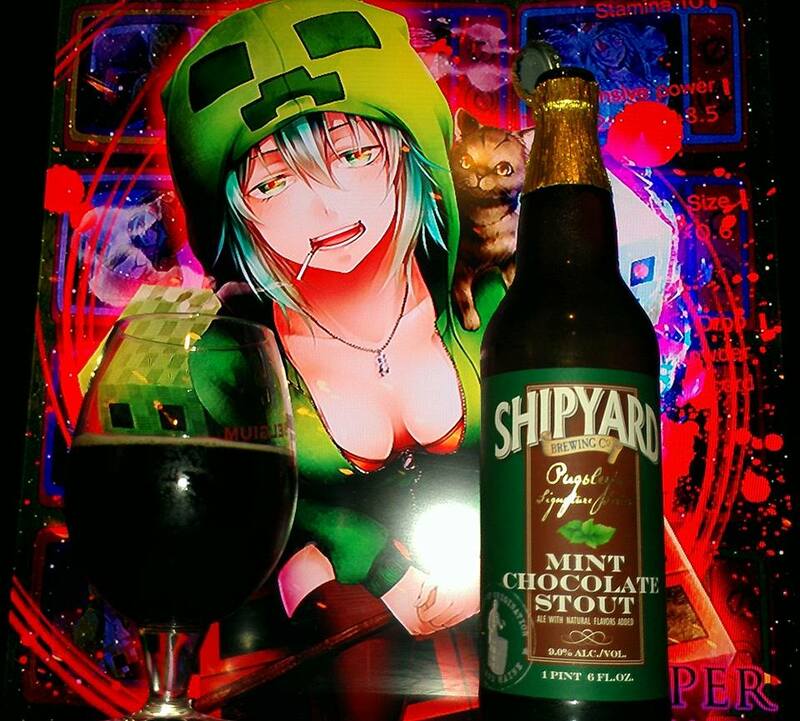 I have not played minecraft but the artwork is very cute and I figure it would work for this sweet beer. The fact that the Creepers linger until they explode can represent the lingering of the rich mint and chocolate in the after taste. What keep Creepers away from players are cats. The fact that there is cat in this picture could signify the balance that this beer has. It is not too bitter and has enough mint to make it very good but not overly minty to make it like toothpaste. The cat being in the picture could also mean that the girl Creeper is actually a Creeper spy. Either way, I am sure the smoke from her cigarette (roast and licorice flavors) will catch others attention. 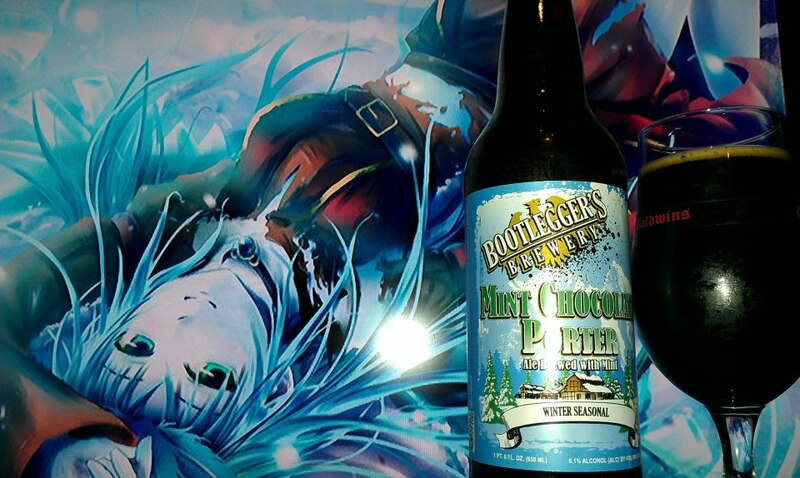 Perhaps a mint chocolate porter sounds like an odd combination, but we like to think of it as a match made in heaven. The refreshing mint is balanced with subtle hints of dark chocolate notes, making it a complex yet exceptionally drinking winter ale. This one is perfect for sitting next to the fireplace and sharing a few pints with friends.